Twenty-five years ago I started trying my hand at writing. Ten years ago I started studying photography. Now I’m a “professional” (which means somebody pays me to do it) at both. More recently, Geoff and I started publishing books. We both contribute photos, I do most of the writing, and Geoff does the design. 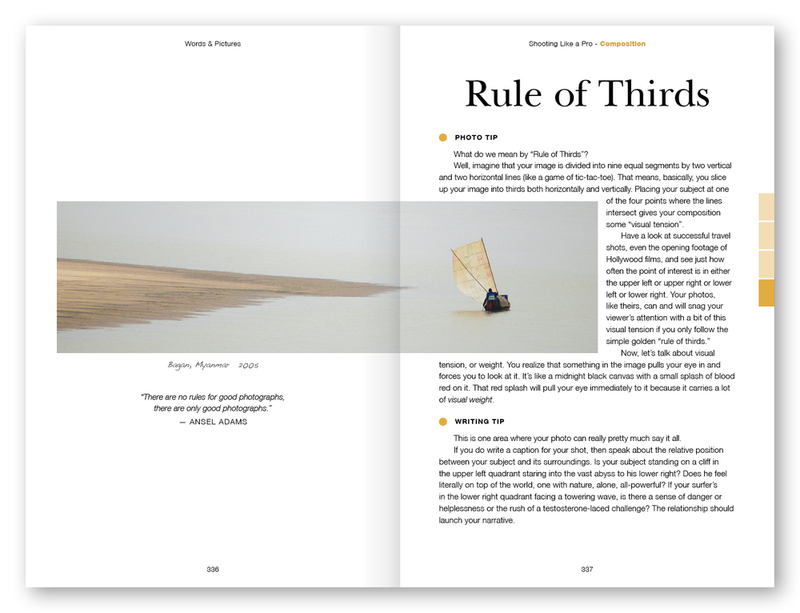 How To Capture Your Travel Stories In Words & Pictures is our latest effort. In it, we’ve compiled all the tips we’ve learned over the years about how to deal with photographic situations on the road, and how to improve your writing to help tell a more vivid story. If you imagine your photos can tell your entire travel story, you're either one hell of a photographer or truly misguided. Words can enhance the tale behind the pictures, and pictures can add life to your words. Yet, too often we divide them into distinct disciplines. Photography and writing go hand in hand to paint a more vivid travel story. 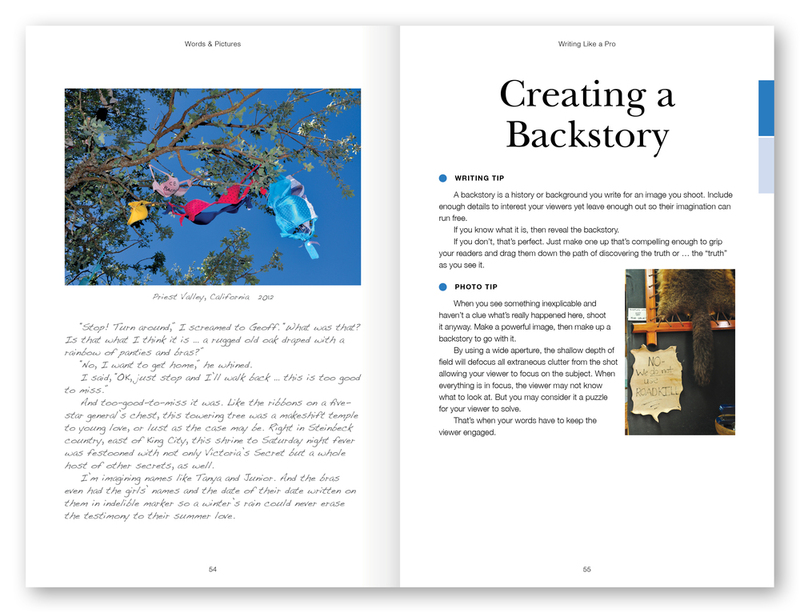 Whether you aspire to have your work published or simply want to make better personal presentations of your adventures, this book shows you how to elevate snapshots into photographic art and captions into literary commentary. Just enter your PROMO CODE at CHECKOUT. Below are some sample pages to give you an idea of the content.